l Black Bean Salsa -16 oz. 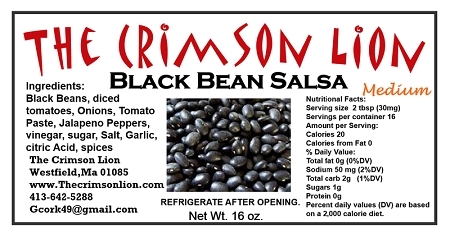 Home > Shopping Store > Specialty Salsa Shopping Cart > Black Bean Salsa -16 oz. Black Bean Salsa We have a hard time keeping this salsa flavor in stock. Similar to our Black Bean & Corn salsa, except without the addition of corn. If you like black beans and the tomato combination, you will love this product. Some customers rave about using black Bean salsa and cream cheese with their Burrito's This is a top seller.